Bird Id - Forum - Identifying Birds - Spotted This Morning. Any Ideas? Forum > Identifying Birds > Spotted This Morning. Any Ideas? 8 Spotted in my garden this morning. 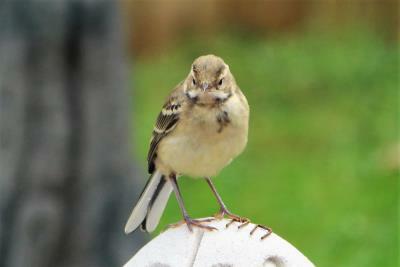 It was walking around the garden like a wagtail, but I'm not sure what it is. Any ideas? 44 This certainly looks like a juvenile wagtail, Brian. 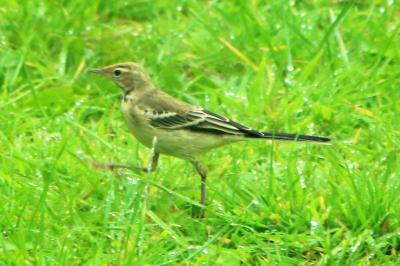 The markings are right and going by the colour in the bottom photo it would appear to be a juvenile yellow wagtail. The colouring in the top photo seems a little warmer but perhaps its a trick of the light. Grey wagtails have the same markings but their backs are generally grey so I would sway towards the former.